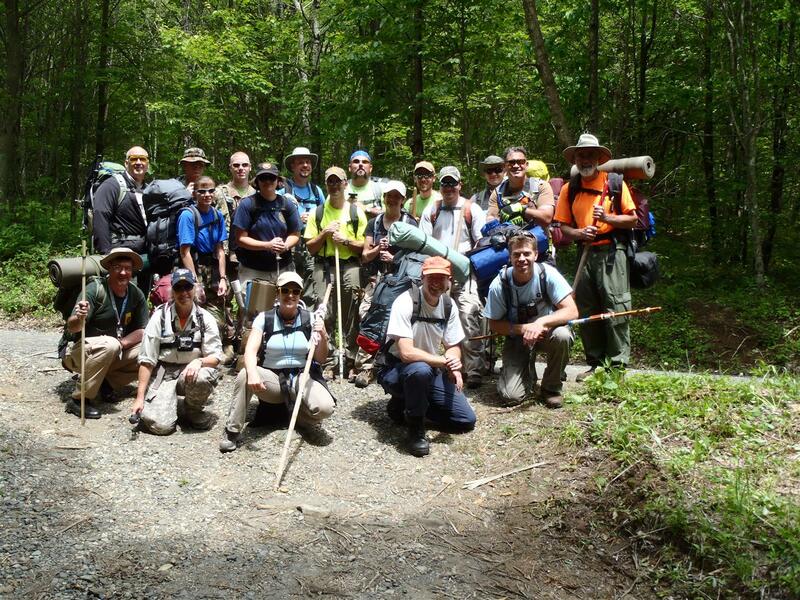 Squad Members Complete FUNSAR 2012 along the Appalachian Trail at Roaring Creek! Congratulations to all 19 Linville-Central Rescue squad members who completed Fundamentals of Search and Rescue class in June. Participants spent two weekends in class, field exercises, building a wilderness bivouac . . .
. . . wilderness bivouac and conducting a mock search. They worked on their basic skills, such as map and compass, survival skills, and handling environmental emergencies. They practiced their search techniques, like grid searching, all while navigating by topo map and compass. No GPS units were allowed! The exercise culminated on the second weekend with an overnight mock search that extended to Little Hump on the AT - ending with the successful rescue of our lost hiker - played by Earl Tilton, a volunteer from Buncombe County Rescue Squad. The instructors were State Ranger David Cook, Superintendent of Hanging Rock State Park, and Ranger Jamie Anderson of New River State Park. Richard Schaffer, LCRS Search Dog Task Group Leader, coordinated and assisted with the program. Participants from Watauga, Mitchell, and Buncombe Counties joined Avery County volunteers for the course. 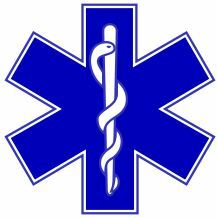 All were awared the SARTEK III certification from the National Association for Search and Rescue. The course was held with the assistance of North Carolina Division of Emergency Management, the U.S. Forest Service, the National Association for Search and Rescue, and Mayland Technical Institute, Newland, NC.